Annie Proulx’s new collection is peopled by characters who struggle with circumstances beyond their control. Born to ranching, drawn to it, or desperate to get out, they inhabit worlds that are isolated and often dangerous. Trouble comes at them from unexpected angles, and they drive themselves through it, hardheaded and resourceful. No one writes better than Proulx about the American west and about lives that may no longer be viable. This is a stunning collection by one of the most vivid and exhilarating writers of our time. In Elk Tooth everyone tries to be a character and with some success. "The Indian Wars Refought" follows a young Native American woman's discovery of a long lost Buffalo Bill film, found in a building owned by her white stepmother. Gilbert Wolfscale fights to hold onto the ranch that has been in his family for generations and, as a result, alienates his wife and sons in "What Kind of Furniture Would Jesus Pick?" And in "Man Crawling Out of the Trees," an isolated couple from New York breaks "the cardinal rule of the country-that you give aid and help to a stranger, even your bitterest enemy when he is down." Ever resourceful, Elk Tooth residents create their own entertainment. A beard-growing competition grows out of boredom during the bitter winter months in "The Contest"; "Summer of the Hot Tubs" chronicles the town's passing passion for building their own outdoor tubs and Willy Huson's creative attempt to heat things up; and "The Trickle Down Effect" is personified by trucker Deb Sipple-"most of what little money he made with occasional hauling funneled straight into Elk Tooth's three bars." Nature takes its course when Amanda Gribb, Pee Wee's bartender and secret vegetarian, adds a new member to Wyoming's food chain in "Florida Rental," and Buddy Millar, wishing for new territory in "The Wamsutter Wolf," moves into a trailer park where he becomes neighbors with his old high school bully and encounters "the real Wyoming-full of poor, hard-working transients, tough as nails and restless, going where the dollars grew." Breaking up all the harsh reality, Proulx plays with magical realism. In "The Hellhole" Fish and Game Warden Creel Zmundzinski stumbles across a phenomenal way to dispose of poachers. Christina Stifle, who inherits an old iron teakettle while her brother is willed their parent's house and land, discovers the magical meaning of her mother's mantra, "less is more," in "Dump Junk." And a conceited critter misinterprets the affections of a rancher's wife in "The Old Badger Game." "Broke, proud, ingenious, and setting heels against civilized society's pull," the characters in Proulx's Bad Dirt are nothing if not a success. 1. Magical realism shapes three of the stories in this collection: "The Hellhole," "The Old Badger Game," and "Dump Junk." Do you like this style? Why or why not? What do you think these stories contribute to this collection? How does the author handle suspension of disbelief in these tales? 2. Proulx demythologizes the American West in these tales. Describe the "real Wyoming" portrayed in Bad Dirt. Who do you think is responsible for romanticizing this region? The media? The government? The tourist boards? If this element of poverty and hardship exists in some form in every state, what makes Proulx's examination of Wyoming's underbelly unique? 3. If you've read Annie Proulx's Close Range, how do you compare it to this new collection? Do you see it as a continuation of theme and style? Or does it touch on new concerns and characteristics? 4. Do you think it is a coincidence that Amanda Gribb, the bartender at Elk Tooth's Pee Wee bar, is in the first and last stories-"The Hellhole" and "Florida Rental"? Or do you think that Annie Proulx uses this character to frame her collection, making Amanda the unofficial guide to Bad Dirt? What other stories does Amanda Gribb appear in? Is she a sympathetic character? 5. What is the significance of the epigraph by Charlie Starkweather: "They say this is a wonderful world to live in, but I don't believe I ever did really live in a wonderful world"? Several of Proulx's characters in Bad Dirt are not so wonderful-Linny, the irresponsible stepdaughter in "The Indian Wars Refought"; Deb Sipple, the idiot truck driver in "The Trickle Down Effect"; Dilbert Wolfscale, the stubborn rancher in "What Kind of Furniture Would Jesus Pick? "; and Willy Huson, the incompetent mechanic in "Summer of the Hot Tubs." How does the author make the reader care about, or relate to, such flawed protagonists? How do you think the author feels about these characters? 6. Animals appear throughout these stories-"The Hellhole," "The Old Badger Game," "Man Crawling Out of the Trees," "The Wamsutter Wolf," and "Florida Rental." Are they symbols, motifs, or just part of the Wyoming landscape? Discuss the role they play in each story. The buffalo is the Wyoming state animal and yet it doesn't appear in the collection. Is that significant? 7. 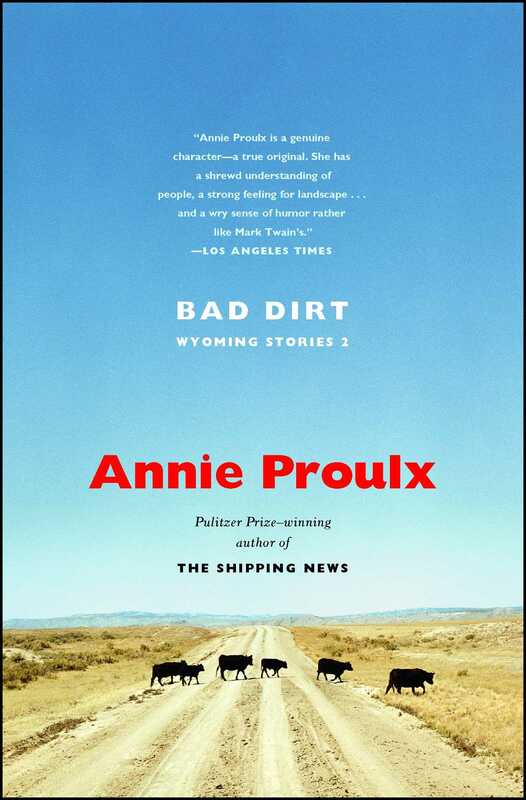 Annie Proulx is known for populating her books with characters who have odd names like Fiesta Punch, Creel Zmundzinski, Mercedes de Silhouette, and Preacher Pecker. Do you think this creates symbolic and thematic meaning? Why do you think the author has such a fascination with strange names? 1. Take a quiz on Wyoming like the one at http://www.netstate.com/states/quiz/wy_quiz.htm Have the highest scorer pick the next book club selection! 2. Look at a map of Wyoming and plot, from any clues in the book, the location of fictional town Elk Tooth. 3. If you're the host, give everyone a cowboy hat to wear (Hats are $17.95 per dozen at www.orientaltrading.com), or seeds for the Wyoming state flower (http://www.americanmeadows.com/bulk_ind_detail.cfm?itemid=853). "Proulx renews the Western tradition of the short story as the tall tale....[She] does a matchless job of summing up the human comedy of the modern West." "Like Flannery O'Connor and William Faulkner, Proulx has found a tone and style of delivery that allow her to be humorous and existentially black at the same time. No other writer in America gets away with this combination." 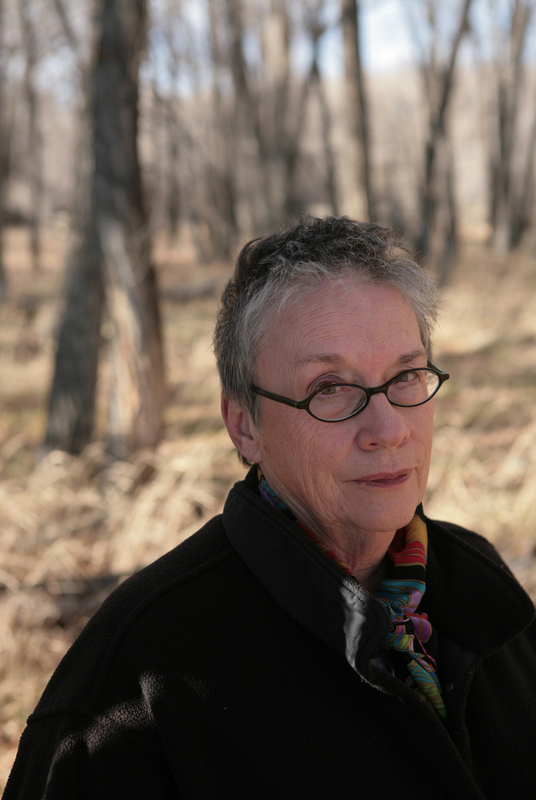 "Annie Proulx is a genuine character -- a true original. She has a shrewd understanding of people, a strong feeling for landscape...and a wry sense of humor rather like Mark Twain's."